OK, this is the latest get-fit-quick-scam. This one is perhaps one of the most dangerous we have seen and reviewed. The scam involves exercising while standing on a shaking plate that could be shaking at a very high rate. 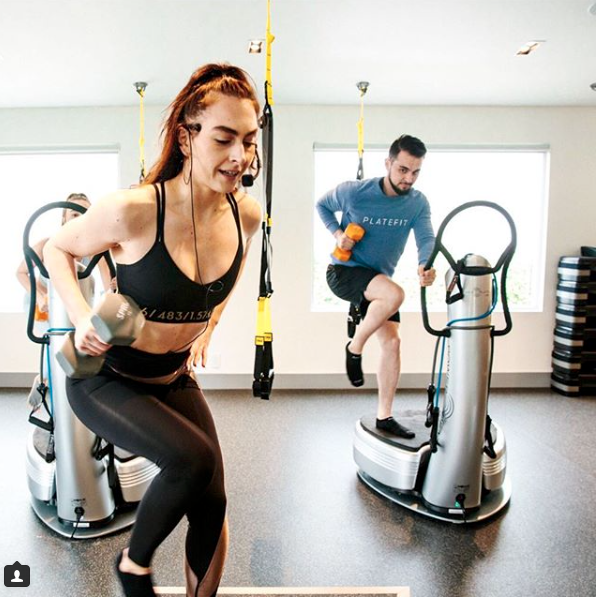 And to top it off, they are promoting high-intensity-interval-training, which is dangerous and harmful by its own, to be done while standing on a shaking plate. Your body is not made to be on a shaky ground. Nothing in real life imitates this. The biggest deception is that NONE of their trainers, including the owners got fit using this harmful system. All instructor were in good shape before they got hired into this scam. Their website claims some really deceiving claims. So deceptive that we are planning on reporting these people to the authorities. 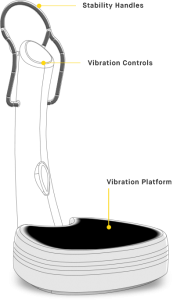 For example, they are saying that the Power Plate (or shaking machine) is a “medical grade device”. What in the world does that mean? I think there are a lot of really stupid people out there that see the word “medical” and believe that it is medically approved or good for your health. Well, that where we come in. Vibration has NEVER been proven to help muscles grow or lose fat. Vibration only debilitates joints, increases adrenaline flow, dehydration and causes muscle tear. Not the good kind of muscle tear, but the permanent injury type of muscle tear. Another claim is that their instructors are certified. What a load of lies. That means that the high-school dropout conducting the classes has taken 3 or 4 classes in the same environment. Our visit to one of their places in Los Angeles, we found out that the “certified instructors” had no formal education, or education at all. One of the instructors is a stripper at a gentlemen’s club, another a waiter and another a massage therapist (call-girl). None of them finished high-school or have any training and are working as independent contractors. They have nothing to lose either. If you get injured, there is no recourse for your injuries. The “instructors” don’t have a pot to piss in and you can’t sue the gym either. Their contract is very specific that you are responsible 100% is you get injured. Did we mention that the handles and the machines are sticky, full of germs and sweat (body fluids) from other people? Stay away from scams like this. We predict that they will go out of business soon as the law-suits will start pilling and the amount of injured people will crush this scam. But why wait, just stay away.